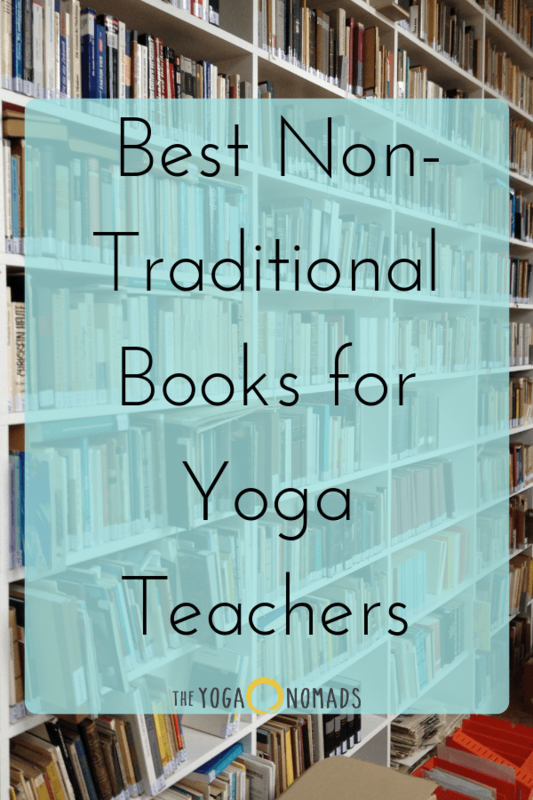 You already know the classic must-have books for yoga teachers, like Light on Yoga by BKS Iyengar, The Bhagavad Gita, the Yoga Sutras, and Yoga Anatomy by Leslie Kaminoff. 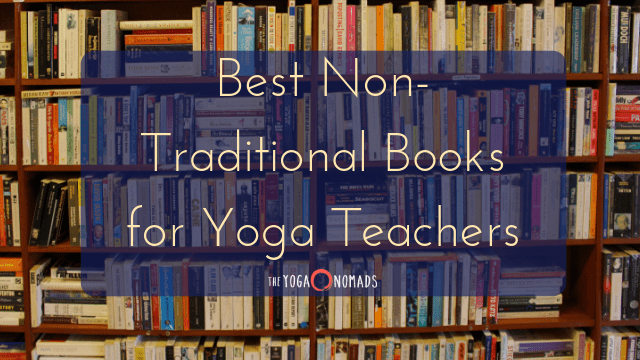 If not, this is a great list of essential yoga books for yoga teachers from Yoga by Candace. 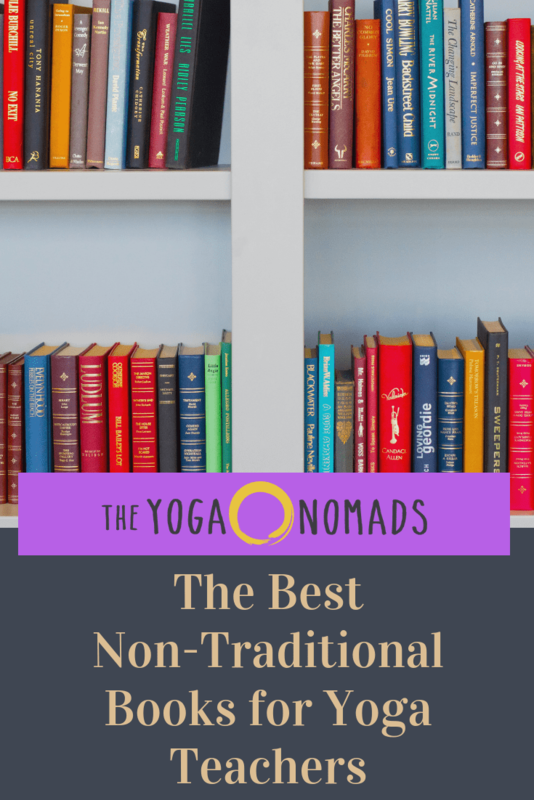 This blog will share some must-have non-traditional books for yoga teachers– books they may not have mentioned in your yoga teacher training or sell in your yoga studio, but books that will greatly deepen and inform your personal yoga practice as well as your yoga teaching. This is one of my favorite books for yoga teachers. Jillian Pransky is a world-renowned restorative yoga teacher, and this book shares her exploration of mindfulness practices, deep relaxation, and compassionate listening. She reminds you that it’s okay to do less and just be, which I think we all need to hear from time to time. This book shares her wisdom on how to tune inward and relax into a state of openness, ease, and clarity with journaling prompts, restorative yoga poses, and meditations for deep healing. Click to order Deep Listening. How many times have I quoted this book in one of my yoga classes? We may never know. This book isn’t about yoga, but its themes are universal and timeless, offering archetypal stories for your own evolution that can weave beautifully into your teachings. I often say this in my articles, but your personal practice (which isn’t just what we do on the mat) feeds everything. Order your copy here. I found this book in the lobby of a yoga studio I visited for a weekend restorative yoga training, and I’m obsessed. Yoga Bodies is a beautiful exploration of what the practice of yoga means to over 80 people of all different ages, shapes, sizes, backgrounds, and skill levels. It’s a reminder that yoga is for everyone and that everyone will experience yoga differently. It reminds us to encourage our students to detach from having any specific outcome from the practice. We are reconnected to the fact that we will all get exactly what we need from it. Get your copy here. This book was recommended to me by a tarot reading client, and now I recommend it to everyone. Yoni Shakti is the antidote for anyone who feels like yoga is a masculine energy centered practice (me!). It shares a feminine-based approach to yoga that aims to create more freedom and empowerment for women. Order your copy here. Like the name suggests, this kit is an important tool in a yoga teacher’s toolbox. It includes 75 yoga posture cards, each with the intention of the pose, an affirmation, modifications and variations, benefits, cautions, symbolism and mythology, the systems of the body balanced by the asana, the main elements activated by the asana, the chakras balanced by the asana, and more. Whether you’re in a teaching rut or just looking to expand your roster of asanas, this toolbox is for you. Buy the Yoga Toolbox here. If you want to understand the chakra system more deeply, this book is a must-have. Anodea Judith adapts the yoga-based Eastern chakra system to the modern-day Western framework of Jungian psychology, somatic therapy, childhood developmental theory, and metaphysics. Buy the book here. Another good one related to chakra healing is Anatomy of the Spirit by Caroline Myss. As yoga teachers, we may work with students with trauma and never know it. We want to be able to show up for and hold space for all of our students, which is why I’ve included this book on the list. The Body Keeps the Score is a leading text in the exploration of trauma and how it’s stored in the body. Bessel van der Kolk started his career working with veterans and in this book he shows how trauma literally reshapes both the body and the brain of the survivor, inhibiting their capacities for pleasure, self-control, engagement, and trust. He explores innovative treatments, including yoga, that offer different paths to trauma recovery. Purchase this book here. No doubt about it, there can be a ton of judgment in yoga spaces. The most profound way I’ve found of releasing judgment of others in my life, whether in yoga or not, has been in healing self-judgment from the inside out. I’m not a huge Gabby Bernstein fan, but I’ll say this: this book absolutely changed my life. Healing judgment (which is a constant, nonlinear process like all healing) has changed how I show up as a yoga teacher, a space-holder, a listener, a tarot reader, a facilitator of healing in all its many forms. Grab your copy here. This classic book isn’t just for “traditional” artists. It’s for anyone who wants to connect more to their creativity, and I’d argue that creativity is critical for yoga teachers. Whether you’re creating new flows, recording a yoga podcast or writing a blog post, creativity is a thread that weaves through what we do as teachers. In this book, Julia Cameron shares how to connect with your creativity as part of your spiritual practice. Order your copy here. We can all be better communicators. Especially as yoga teachers, when there is an inherent power dynamic in the space, developing awareness around communication and how our communication can unintentionally cause harm is important. This book, Nonviolent Communication, “offers you the most effective tools to reduce violence and create peace in your life—one interaction at a time.” Get your copy here. This book isn’t specifically about yoga. As the title suggests, it’s a mindfulness guide for anyone who teaches anything…making it another one of my favorite books for yoga teachers! 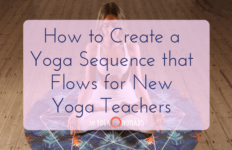 It will change how you show up as a yoga teacher, sharing how to infuse your teaching with attention, awareness, kindness, empathy, compassion, and gratitude. Grab your copy here.